Tuberous perennial, often grown as an annual. 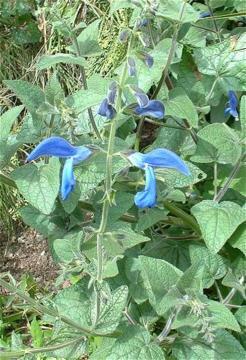 Large cultivar from Mexico, taller than the species and with bigger, deep blue flowers. Aromatic leaves.